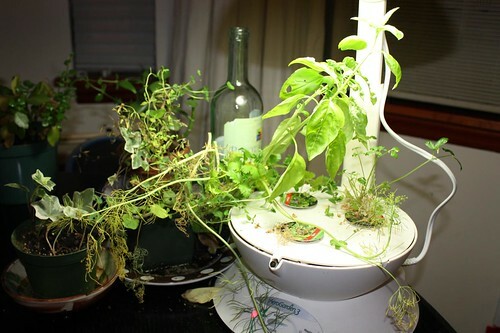 The AeroGarden is gettin a tad bit unruly. I am worried that one night I may return home to find a miniature pickup truck broken down in the front of it. 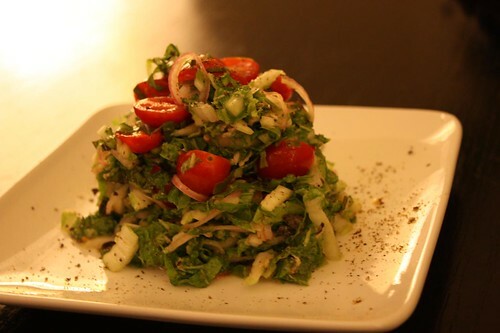 Tonight I started off by making this slaw out of napa cabbage following my latest trend of not sticking with solely Asian recipes for Asian vegetables (see here). I tossed it with horseradish, shallots, dijon, cider vinegar, olive oil, garlic, salt, pepper, and sliced grape tomatoes with sliced scallion and basil. 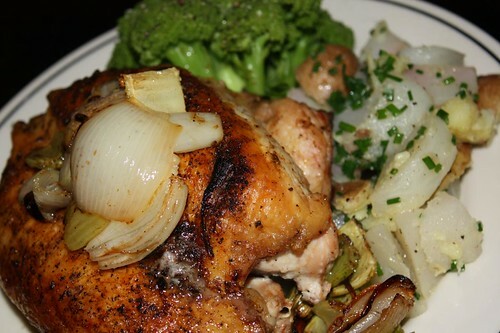 For the main course: buttered turnips and potatoes with chives; roasted chicken breast, shallots, and celery; and steamed broccoli. Everything but the chicken and the chives (from my mother's garden) was from the farm. The wine accompaniment was a sub $5 bottle so I won't even bother mentioning it. However, all told it was a very rewarding meal. I hear rumors of a farmer's market on the Upper West Side. I may crash it this Friday to see if I can supplement my lack of vegetables for the week. Is that like cheating on our farm share? Looks yummy. I've also heard, 'if life gives you lemons, find out who has the vodka." I think limes would be better though. Limes would definitely be better. I guess if life doesn't give you limes lemons will have to do.